Read about testing for gene mutations as part of diagnosing non small cell lung cancer. Some lung cancers have changes in particular genes and proteins. Doctors can use these changes as targets for specific drug treatments. 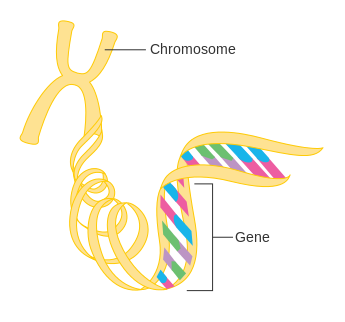 Genes are found on chromosomes within all cells. They tell the cell which proteins to make. Scientists can look at lung cancer samples in the laboratory and search for gene changes (mutations) that change the way the cancer grows. Doctors use this information to plan the best treatment, based on the genetic type of the cancer. This is called targeted cancer treatment or personalised therapy. Your doctor might test for one or more of these genes before you start treatment. To have these tests your cancer must be a non small cell lung cancer that has spread into the area around the lung or has spread elsewhere in the body (an advanced cancer). Or you might have this test as part of a clinical trial. Doctors look for gene mutations using a tissue sample, usually taken using a needle biopsy. They usually test a sample they already have from your original cancer tests. Or they might use a biopsy from your operation if you had one. In the laboratory, doctors carry out scientific tests on your biopsy sample to look for gene changes (mutations). Your doctor tells you the results of your test. They will talk with you about the best plan of treatment. Research has found that some targeted cancer drugs work well for some people with certain gene mutations in non small cell lung cancer. These drugs change the way that cells work and they help the body to control the growth of cancer. Scientists are carrying out trials into other genetic mutations and targeted drugs for treating lung cancer. Getting the results of your genetic tests could take a few weeks. Ask your doctor how long they expect them to take. Contact your doctor if you haven’t heard anything after this time. Waiting for test results or for further tests can be very worrying. You might have contact details for a lung cancer specialist nurse and you can contact them for information if you need to. It may help to talk to a close friend or relative about how you feel. For support and information, you can also contact the Cancer Research UK nurses on freephone 0808 800 4040. The lines are open from 9am to 5pm, from Monday to Friday.